If you’re indebted to multiple lenders, oppressed by high interest rates, or simply looking to make your debt payments simpler, it could be worth it to make a balance transfer. This puts all your financial eggs in one basket, and can also give you a temporary reprieve from high interest rates. You’ve got to time it right, though, to get the most benefits and skip the potential costs. A balance transfer is the movement of a debt balance from one creditor to another. This is typically a transfer to consolidate your credit card balances and other debts to a single credit card. The transfer is straightforward and can be set up when you first open the new credit card account or anytime thereafter. You still owe the money, but now the debt resides in one place instead of many. Lower interest rates. This is especially true if the new account offers low or 0% introductory rates and your old debt was saddled with high interest rates. A lower total monthly minimum payment. This means more of your money can go toward overall debt reduction, as opposed to interest. Simplified bill paying. By transferring multiple accounts, you’re reducing your number of monthly bills. Something to keep in mind is that you aren’t limited to transferring only credit card debt – many credit cards allow you to also transfer balances from mortgages, auto loans, student loans, and other debts by issuing you checks that you can use to transfer your non-credit-card balances. Research the best zero-balance-transfer credit cards currently available for someone with your credit score. We provide six good options below. Apply for the card that seems like the best choice. You’ll need to evaluate fees, introductory periods, and interest rates. Specify your transfers from existing cards by entering the existing credit card numbers and account balances when you apply online. 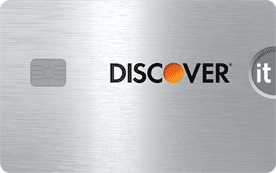 The issuer of the new credit card will approve and transfer these balances when it issues the new card. Notify the new card issuer via its website or over the phone and request the additional transfers, if necessary. Request checks tied to your new credit card and use them to transfer non-credit-card balances to your new credit card. Most of this can be done easily online, but if you prefer to speak with a representative, you can call the issuer directly for personalized assistance. The balance transfer process can usually be done in a fairly short amount of time. Payment history (35% of score): How well have you handled credit in the past, including missed payments, bankruptcies, and foreclosures. Amounts owed (30%): Your score partly depends on what percentage of your available credit is being used. If you open a new card and do a balance transfer without creating new debt, your credit score might increase as your percentage of credit used declines. For this reason, you shouldn’t close old credit cards — even if you no longer plan to use them. If you pile on more debt after performing a balance transfer, your credit rating could fall. Length of credit history (15%): Credit bureaus like to see a long credit history in which you’ve acted responsibly. This is another reason not to close a credit card after transferring away its balance. New credit (10%): Opening a new credit card, even if it’s just for the purpose of doing a balance transfer, will usually slightly depress your credit score for a few months. Credit mix (10%): A mix of credit card debt and installment loans will generally raise your credit score. If you use a balance transfer to pay off an installment loan, you may paradoxically cause yourself to be viewed as a riskier borrower. All of these factors combine to create your current credit profile, and can affect each individual differently. Balance Transfer Fees: How Much Are You Really Saving? 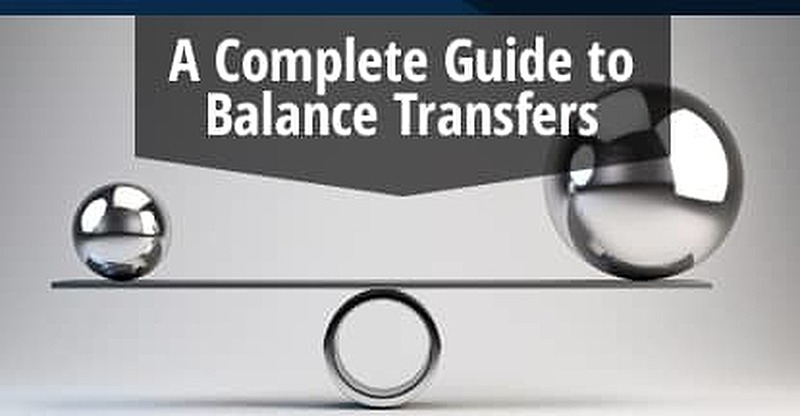 To know whether you will save money by doing a balance transfer, you have to compare the interest you would’ve paid by keeping the old balance versus how much you’ll pay in interest and fees for transferring the balance. This depends on the introductory and subsequent rates for the new card — and how quickly you intend to pay off the account balance. A transfer fee of 3-5% of the amount transferred. Some cards waive this fee for an introductory period. An annual fee. Not all cards charge one, and you may get the first year’s fee waived, but you could have one each year thereafter. An interest rate on transferred balances. Frequently this is 0% during an introductory period of anywhere between 6 to 18 months, depending on the card. An interest rate on new purchases and cash advances. These might be quite low during the introductory period, but could rise substantially afterward. If you can’t pay the balance off before the higher rates kick in (after the introductory period expires), you might not be saving much money. 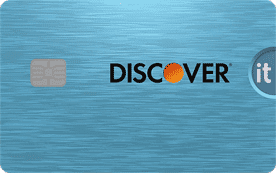 The Chase Slate® credit card has been the best choice among no-fee balance transfer cards for the last several years. It’s fairly unique in that it charges no transfer fees during the intro period. In other respects, its fees and interest rates are competitive with other cards aimed toward consumers with good or excellent credit ratings. Chase Slate does not offer cash-back or reward points, but does let you know your FICO credit score every month. A good balance transfer card offers a 0% APR on transfers during the introductory period, which varies by card. Usually, the best cards with the longest introductory periods are reserved for consumers with excellent credit ratings. In terms of FICO scores, which range from 300 (worst) to 850 (best), an excellent credit score is 720 or higher. Different credit cards are best for consumers with fair credit or worse. A FICO score of 630-689 is considered fair. Anything below that range is bad. It’s difficult (but not impossible) to obtain a credit card even if your score is bad. Having older accounts helps support your credit score. Also, by keeping a dormant account alive, you won’t unnecessarily decrease the total amount of credit available to you, which can hurt your credit utilization percentage if you close the account. Just because you have more credit available from your new credit card account, don’t feel compelled to use it. It defeats the benefits of a zero-balance transfer if you end up deeper in debt with more interest to pay each month. A zero-balance transfer card charges 0% interest during the introductory period. After this period, the interest rates go up. You want to maximize your payments during the introductory period so that you have little or nothing left over that will cost you interest expense. If you transfer the entire credit limit to your new card, your credit utilization on that card will be 100%. As we explained above, high credit utilization percentages hurt your credit ratings. If you’re considering a second or third balance transfer, then you’re not paying off your debts. Rather, you’re just rolling your original debt from Card A to Card B and then to Card C. Lenders will view you as a risk, and likely not approve any additional credit for you. A balance transfer, if used wisely, can improve your credit score and your financial profile. You need to consider all fees, interest charges, and introductory periods when deciding which new card to get and how much debt you wish to transfer. If you mishandle a balance transfer card, you may end up going deeper into debt, hurting your credit rating and increasing your monthly interest payments. Now that you know how a balance transfer works, you’re ready to turn this newfound knowledge into savings by picking out the right card and following our best practices for a proper balance transfer. Borrow responsibly!